This entertaining sci-fi comedy series is written by one of Canada’s best-loved comedy writers, Matt Watts. The United States has launched an armada to destroy an alien threat. Canada sends the nation’s only publicly-funded spacecraft, The Canadia – a ship with a single purpose – to plunge the Americans’ toilets. 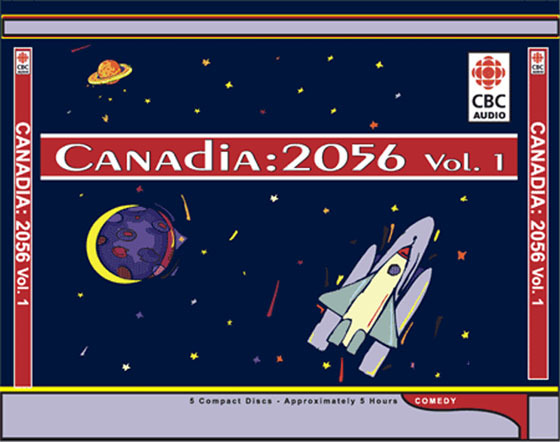 There are lots of audio dramas out here on the internet, but if you want to hear a professional piece of work that will make you laugh out loud, you should give Canadia 2056 300 minutes of your time. Matt Watts and the entire cast and crew of Canadia 2056 have created something special. The show is an absolute gem. The Canadia of the series is a Canadian spaceship that has been sent to war with a United States fleet, which in turn has been sent to perform a pre-emptive strike on a planet called Ipampilash. Midshipman Max Anderson is the only American member of the crew, and his relations with all of the Canadians is central to the comedy of the show. I’m not a Canadian, so I’m certain that I’m missing the deeper meaning of some of the jokes, but the scripts are crafted and performed in such a way that I really didn’t feel I was missing out. Max Anderson (played by series writer Matt Watts) makes an interesting representative of the United States. He’s cowardly, geeky, selfish, and his mother is an admiral in the US fleet. He feels his way around the crew, and finds his place among them eventually. Holly Lewis was captivating as Amanda Lewis, the engineer that Max spends the most time with. There’s a lot of tension between the two, and it’s wonderfully played. I could sit here and start listing my favorite moments, but it’s suffice to say that I loved these shows enough that I listened more than once. 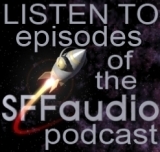 There’s a short list of audio drama that’s really excellent, and even a shorter list of comedic audio drama that’s really excellent. Canadia 2056: Season One is one of those, and I urge you to give it a listen. It’s cruckin’ fanatastic! Season Two of Canadia: 2056 starts next week on CBC Radio! It looks like the first airing will be at 11:00pm, Wednesday, March 19th. Click here to keep your eye on the CBC Radio schedule.